Hong Kong: The Pearl of the Orient! A city of contrasts: land and water, skyscrapers and temples, Chinese characters and English letters. Hong Kong is a beautiful city where ancient history and modern business exist side by side, and a place with no end of things to see and do. To help you prepare with being a first time Hong Kong tourist, we’ve gathered insider information and practical tips that will help you explore and become in awe of this great city. The Hong Kong airport is very modern, clean, and easy to navigate with signs in English. Be prepared to have your kids’ temperatures taken after you exit the airplane. This is standard procedure when entering Hong Kong, and done to prevent the transmission of illness. If a temperature is determined to be high, a health check will be done. The Octopus Card began as a way to pay for fares on Hong Kong’s subway system, the MTR. Now it has evolved into a form of payment not just for the MTR but many shops and restaurants as well. We recommend picking up an Octopus Card when you arrive at the airport. The cards can be purchased in major convenience stores inside the airport. We used our cards to travel, buy groceries, pay for meals, and even purchase gifts. There are kiosks all around the city that allow tourists to check the balance on the Octopus Cards and refill it as needed. Children’s Octopus Cards are a different color than adult ones, as fares on the MTR are lower for children. Travel in Hong Kong is made much easier for English speakers by the fact that almost all signs are in both Chinese and English. Almost all of the spoken language that we heard was either Mandarin or Cantonese, but when I interacted with people at restaurants or stores, they generally switched to English to talk to me. Since I was traveling with two Cantonese speakers, I hadn’t taken the time to learn basic words in Chinese, which I regret. Try to pick up things like “hello,” “please,” and “thank you” before you go. Given Hong Kong’s past as a British colony, I had assumed that there would be more Westerners than we actually saw during our visit. Granted, my family was staying in the outskirts of the city, but even in the busier tourist areas, we didn’t see many Westerners. This meant that my mixed race (Caucasian/Chinese) kids and myself drew attention when we were out and about. All of the attention was completely benign, and we never felt unsafe. My kids and I went out shopping or to the local playgrounds (Hong Kong has TONS of playgrounds!) fairly often and had no issues. Hong Kong is generally a pretty safe city, but as with all big cities, keep a close eye on your bags and pockets. Hong Kong is exceedingly, densely populated and has very crowded streets and sidewalks, so be prepared for extremely limited personal space when you are out and about. 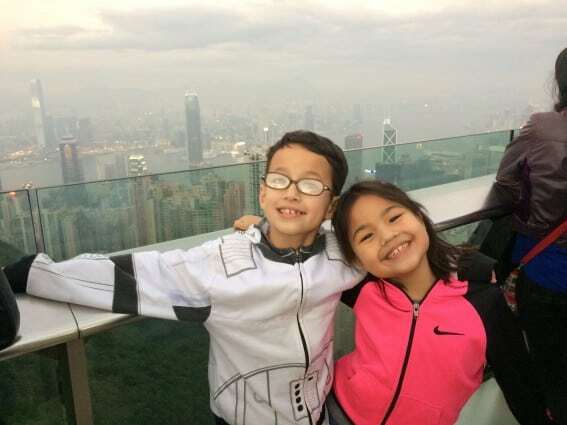 My husband and I made sure that our kids (and my mother-in-law) had our Hong Kong cell numbers on their persons somewhere when we were out in crowded areas, just in case someone got separated. The sidewalk crowding issue is even worse on Sundays, when the domestic help from all over the city has a day off. Maids, housekeepers, and nannies descend on the city’s parks and sidewalks to spend a day chatting, eating, and hanging out with friends. My family was in Hong Kong at the end of December, and temperatures were generally in the 65-75 degree (F) range. This meant we were in light shirts and sometimes shorts, but to the locals it was cold winter weather. Most homes do not have heat because of the warm climate. It does get very hot and humid in the summer, so plan accordingly. Almost all homes do have air conditioning. WiFi is available throughout Hong Kong, but if traveling with a family, it is important to check that you have cell phone access as well. It could not be easier. This is another task that you can check off your list before leaving the airport. Save time picking up a SIM card at one of the airport stores (see signs advertising the SIM cards), as prices are the same in airport shops for the SIM card as outside. We picked up SIM cards at a phone store in the airport that gave us eight days of service with 5 GB of 4G data use as well as free local calls and $40 credit that can be used for international texts or while roaming in China or Macau. As of January 2017, the eight-day plan was $118 Hong Kong dollars, which is just over $15 US. We bought these cards for all three adults in our group, which gave us a lot of peace of mind about staying in touch in case of emergency. And it was fun to have the data plan to share pictures with people back home! Do note that the eight-day count begins when you activate the card. I made the mistake of activating mine at 11 pm on the night we arrived, and that ended up counting as a full day of usage. The easiest way to get around Hong Kong is by using the excellent (and very clean!) MTR subway system, rather than by car, as driving in Hong Kong involves very crowded streets, LOTS of people, and driving on the left side of the road. By contrast, the MTR is easy to navigate with signs and announcements in English as well as Chinese. It’s a convenient way to get to most places in the city. The most important thing to know about using the MTR is that it’s vital to not only know what stop you want, but which exit you need to leave the station from (a lesson my family learned the hard way!). Many of the stations, especially the central ones, are very large and going out at the wrong end of the station could earn you a very long walk. Most destinations will have the information available on their websites regarding MTR stop and exit, and there are also signs in the stations for some places. Other than the MTR, you can get around Hong Kong on double-decker buses, old-fashioned trams, taxis, and ferries. The surface routes are slightly more complicated to figure out right away than the MTR, but again, signs are in English, so you will be able to figure out the systems. Taxis are also an affordable option, but many do not hold more than four passengers. Most places have menus in English available, but not all, especially if you are away from the main heart of Hong Kong. Also, servers and staff might not actually speak English, so be prepared to point at the Chinese translation. You will not be provided with free cold water at restaurants, but it is generally available for purchase. Standard beverages are tea and hot water. Most places we visited also had a handful of Coca-Cola products for purchase. You may not want to drink the tap water in Hong Kong, so pick up a few bottles at one of the many convenience stores or grocery stores around town. Another thing missing from restaurants in Hong Kong is napkins. A few places provide wet wipes, but many do not. Carry packets of tissues with you wherever you go. You may need these in public toilets as well, so make sure you always have a few packets on hand for everyone in the family. Hong Kong is famous for its dim sum, and you should definitely partake! Most dim sum restaurants no longer have cart dim sum, but rather you will order off a menu. In Hong Kong, dim sum restaurants will not come by and offer service, so be ready to flag someone down when you want to place an order or need something. 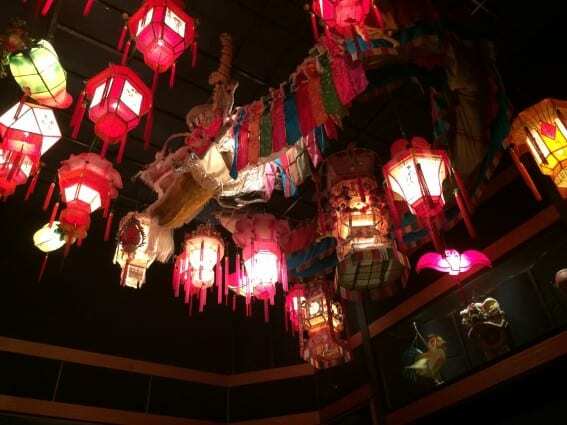 My family eats a lot of dim sum in Vancouver, BC, and the dining experience was very similar in Hong Kong. 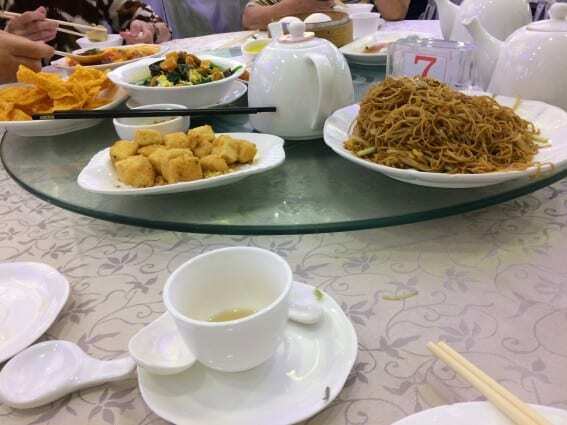 I was surprised by the fact that my mother-in-law promptly rinsed off all of the plates, bowls, and chopsticks with a provided bowl and pot of hot water. We don’t do that in Canada! It was standard practice in all the Hong Kong dim sum restaurants that we ate in. We only spent eight days in Hong Kong, but could have definitely stayed much longer. We visited sites like the Victoria Peak, the Hong Kong Museum of History, the neighboring island of Macau, Hong Kong Disneyland, and numerous gardens. I’d recommend them all, and I know there are lots of other great places that we didn’t make it to. 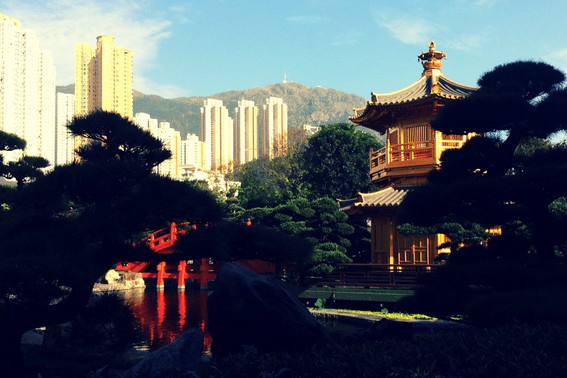 If Hong Kong isn’t on your travel list yet, it needs to be! Read our guide on Hong Kong Disneyland! All photos courtesy of the author Carrie Yu.